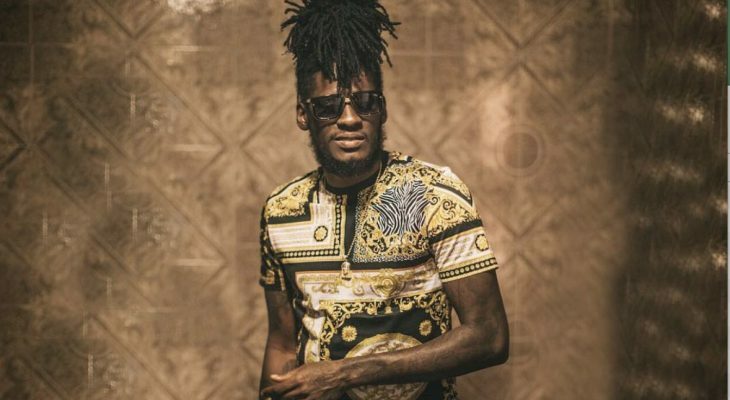 Known professionally as Aidonia (sometimes credited as Idonia), Sheldon Lawrence is a deejay from Kingston, Jamaica with a rapid, festive flow directly inspired by ’80s and ’90s dancehall reggae. Lawrence first began writing lyrics after viewing a 1993 clash between Beenie Man and Bounty Killer. He began performing concerts at school, and he formed a crew with his friends called J.A.G. 1 (Jah A Guide One), also known as Jag One Productions or J.O.P. Lawrence lived in New York City for a few years and had minor involvement in the city’s dancehall scene, but he was encouraged to return to Jamaica and pursue music-making as a career. He met Mr. G (formerly known as Goofy) and recorded the debut single “Many a Dem” in 2003. He began performing at weekly events in 2004, and recorded singles for labels like Orize’n Entertainment and Young Blood Records. He met producer Skatta in 2004, and the two recorded “Lolly,” which became Aidonia‘s first hit. Since then, he’s recorded numerous singles and featured on countless compilations on VP Records and Greensleeves Records. The full-length Then and Now appeared in 2007. In 2009, Federation Sound released Bolt Action, a mixtape that featured Aidonia rhyming over dozens of classic hip-hop and dancehall rhythms. J.O.P. (which includes MCs such as Deablo, Shokryme, and Tanso) became more active as a collective in the early 2010s, with hits including “All 14” and “Run Road.” Aidonia‘s album One Voice appeared in 2013. Project Sweat followed in 2015.